Gabrielle Sales (Sal-lis) recently graduated from Rutgers University, majoring in Strategic Communication and Public Relations with a minor in Digital Communication Information and Media. She received her Associate's Degree in Middlesex County College in Communication Studies. She aspires to use the combination of her studies to create versatility in her professional pursuits. Gabrielle recognizes that knowing how to communicate means to also to communicate and engage with different tools, whether it's to be a better contributor, speaker, writer, planner, or an innovative and proactive content creator. She once interned for a political office that assists locals in the Tri-State unions like Local 3 and volunteered for a non-profit organization that helps kids excel in the STEM field, including an emphasis in the organization Girls Who Code, as a web designer and social media coordinator. Aside from her interest in public relations and brand management, she is also interested in digital marketing with B2B and B2C marketing strategies in mind. She freelances in marketing and web design -- understanding front end web development. She was once involved as the copy editor and staff writer of Middlesex County College's newspaper Quo Vadis, gaining an interest in writing since her days writing for her high school newspaper The Knight Life. 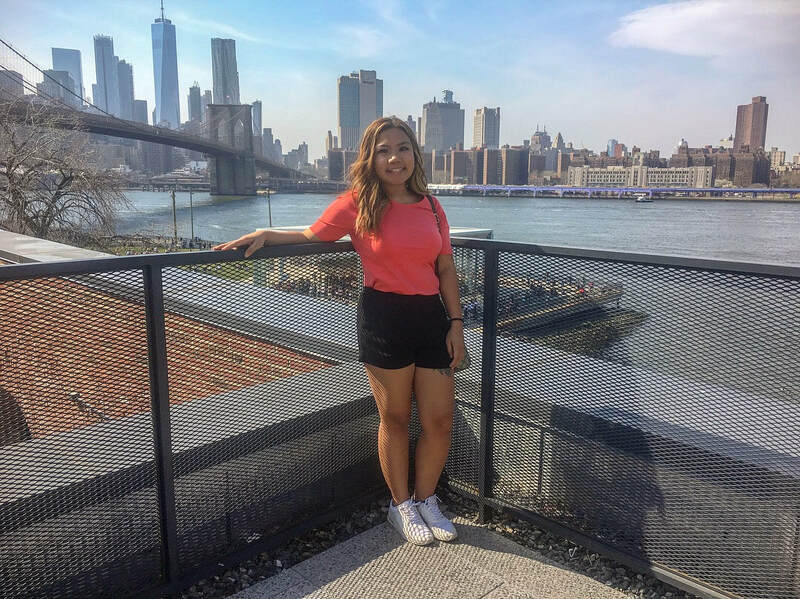 She was once a member of her college's Public Relations firm, Scarlet PR, and currently a chapter member of PRSSA (Public Relations Student Society of America) in Rutgers University's chapter. She worked as a marketing coordinator for a mortgage broker company in Central Jersey (with occasion PR work involved) and she became an instructor, introducing Technology and Marketing, to summer camp children in North Brunswick, New Jersey. She was once a contributor to the popular college writing publication website, HerCampus.com, within the Rutgers University Chapter. Aside from work and her involvement in college, she is a travel blogger who was featured on National Park Geek, Go! Girl Guides, and others, and on her blog, she reports on destinations (mostly focusing on America The Beautiful) that would appeal for tourism and shares her adventure stories for inspiration and travel tips (check out her blog here: http://www.from1girlto1world.com). Some of Gabrielle's hobbies include traveling, exploring the outdoors, going to art museums, photography, blogging, and discovering new and different foods every now and then.